Get those grills ready! Summer is here and there is no better place to prepare, cook and eat a 4th of July meal than in the great outdoors. 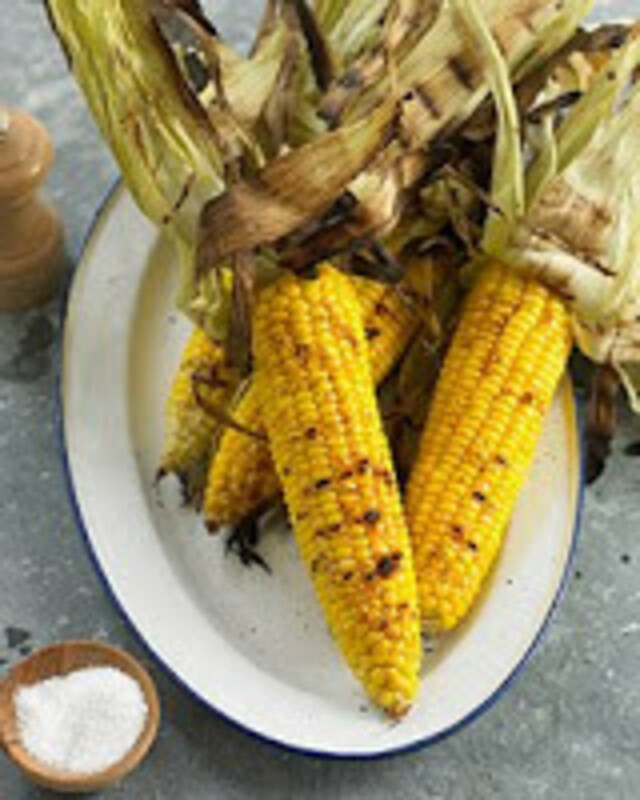 Today I am sharing a recipe I tried from Martha Stewart (you may remember I met her a few months ago) for Grilled Corn. 1. Peel back husks, leaving them attached at the base of the ear. Remove and discard silk; pull husks back over corn. Place ears in a large bowl or pot; cover with cold water. Let soak 10 minutes. 2. Preheat grill to high; lightly oil grates. Drain corn. Arrange ears on grill. Cover and cook, turning occasionally, using tongs, until husks are slightly charred and corn is tender, 15 to 20 minutes. Remove ears from grill. Holding bottom of hot ears with a towel, peel back husks and, with a knife, coat kernels with butter. Season corn with salt, pepper, and chili powder or paprika. Serve. They came out great (and I didn&apos;t have to do a thing in the kitchen--hurrah). Don&apos;t forget to get the kids involved in this one. Shucking corn can be a fun family affair. Now it&apos;s your turn? What are you cooking up for the 4th of July Holiday? This post is linked to Foodie Friday at Designs by Gollum.